Audra and her husband, Dr. Niclas Stiernholm, attended the 2016 Canada Gairdner Awards honoring some of the most important global medical discoveries. The Awards ceremony and dinner was once again held at the Royal Ontario Museum (ROM) in Toronto. This year 5 of the 7 $100,000.00 awards were given to researchers focused on a single subject, CRSPR technology. The Gairdner Award is known as a Nobel Prize predictor and indeed one of last year’s winners, Dr. Yoshinori Ohsumi of Japan, won this year’s Nobel Prize in Physiology for his ground-breaking work on autophagy. 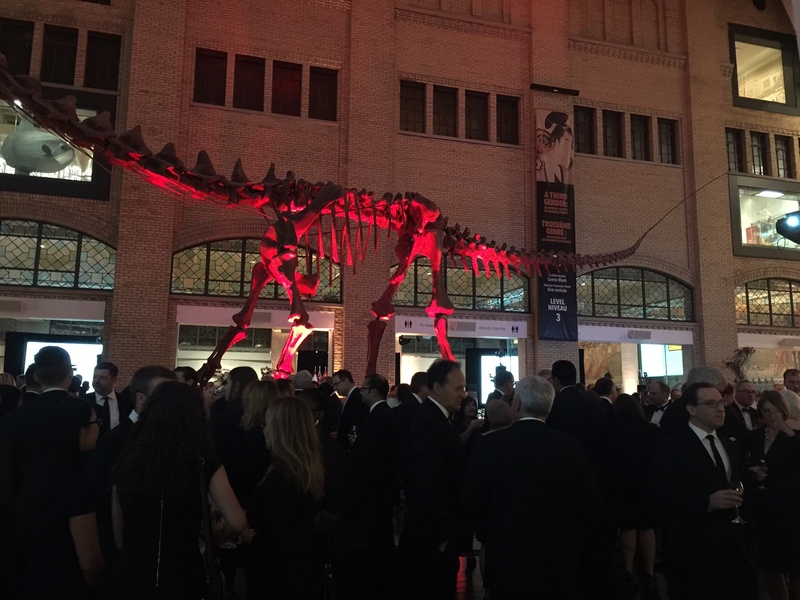 Champagne under the ROM’s Futalognksaurus, a 110 ft. long-necked sauropod!